Indexes jumped after Bloomberg News reported that China’s government offered to buy more goods and services from the U.S., potentially eliminating its trade deficit by 2024. For investors, the encouraging news on trade builds on recent positive signs for the U.S. economy and indications from the Federal Reserve that it will be patient when considering future interest rate hikes. “What you can see that is significant is that both sides are trying,” said Tom Martin, senior portfolio manager of Globalt Investments. “Everybody feels like they’ve now made their point” after the two nations spent most of 2018 staking out positions and occasionally making threats. 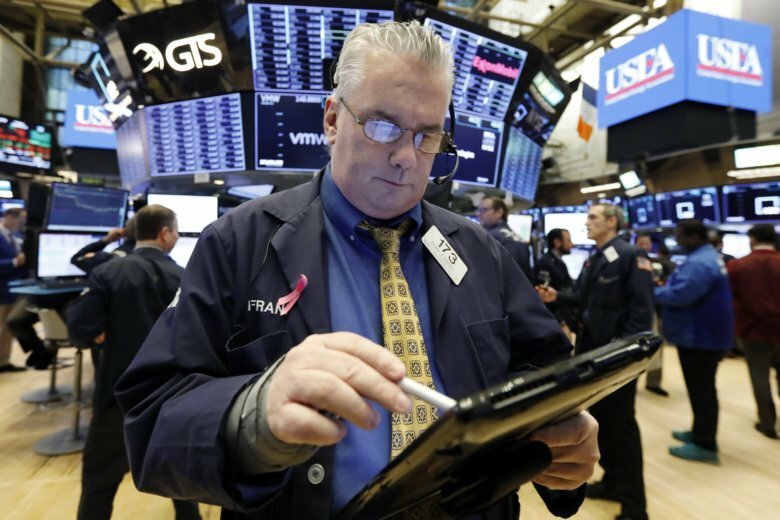 Stock indexes have surged since reaching a low point on Christmas Eve, as the S&P 500 has risen for four weeks in a row. It climbed 2.9 percent this week. It’s risen at least 1.9 percent every week during that rally. The last time the index rose at least 1.5 percent for four weeks in a row was in early 2009, in the wake of the financial crisis, according to LPL Financial Senior Market Strategist Ryan Detrick. The U.S. trade imbalance with China has been a source of constant complaints from President Donald Trump. That deficit grew to a record $323.3 billion in 2018, and eliminating it could mean hundreds of billions of dollars in increased sales for U.S. companies. The two countries have raised taxes on billions of dollars of each other’s goods in the spat over the trade deficit, Beijing’s manufacturing plans, and U.S. complaints that China steals technology from foreign companies. But now they’re starting to think it won’t get that bad. There are signs trade talks are progressing. The U.S. economy doesn’t appear to have slowed much and China is working to perk up its economy. Resolving the trade dispute would also resolve an obstacle to growth for the global economy and corporate profits. The S&P 500, the main benchmark for U.S. stocks, fell 19.8 percent from late September to late December and has recovered more than half of those losses. European stocks jumped. Germany’s DAX climbed 2.6 percent and the FTSE 100 in Britain rose 2 percent. The French CAC 40 gained 1.7 percent. Asian stocks also finished higher. Hong Kong’s Hang Seng gained 1.2 percent and the Nikkei 225 in Japan rose 1.3 percent. Seoul’s Kospi added 0.8 percent.